The efforts of Mothers Against Drunk Driving, (M.A.D.D. ), among other factors, seem to be working in reducing the numbers of traffic fatalities caused by drunk drivers. According to National Department of Transportation, the number of overall traffic fatalities reported in 2008 hit their lowest level since 1961, with 37,261 deaths, and fatalities in the first three months of 2009 continue to decrease. In Florida, however, the news is not so encouraging. According to a report from the DOT’s National Highway Traffic Safety Administration, http://www-nrd.nhtsa.dot.gov, published in June 2009, the number of overall traffic fatalities in the Sunshine State was 3,213 in 2007. Of those, 917, or 29%, were alcohol or impaired driver-related. For the year 2008, while the overall number was lower at 2,978, those caused by alcohol or impaired motorists remained at 29%, or 875 fatalities. As the numbers indicate, there is still much work to be done in eliminating drunk drivers from Florida’s roadways. • Tell them you wish to report a suspected drunk driver. • Give the exact location (identify road and direction) of the vehicle. • Give a complete description of the vehicle, such as make, model, color, license number, etc. • Describe the manner in which the vehicle is being driven. • Do NOT attempt to stop the vehicle. • Do NOT attempt to follow if the vehicle is exceeding the posted limit or if any other hazard may exist due to following the vehicle. • Do NOT disregard any traffic signals in an attempt to keep the driver in view. • Do NOT follow the drunk driver too closely because they may stop suddenly. • Do NOT get so engrossed in following the drunk driver that you begin weaving in the road with the drunk driver. 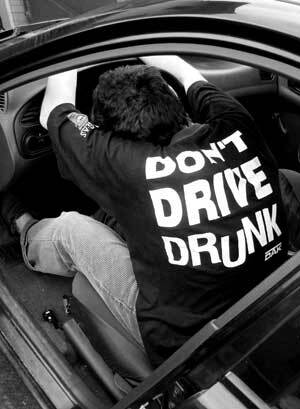 • Do NOT attempt to detain the drunk driver if they stop. • Do NOT attempt to act in the capacity of any police, fire or medical person unless you are properly trained and authorized to perform that function. • Do NOT attempt to assist any law enforcement officer while they are apprehending a drunk driver unless requested. If you or someone you know has been involved in a car crash caused by a drunk driver, contact us immediately. 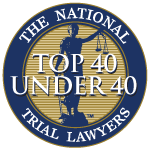 With almost four decades of fighting for the legal rights of accident victims, our family of specially trained lawyers and support personnel can be an invaluable asset in helping you put your life back together.